Study water quality of lakes, streams, ponds, and even aquariums. With this activity, students will investigate the natural process and variables that create changes in water quality over a period of time. 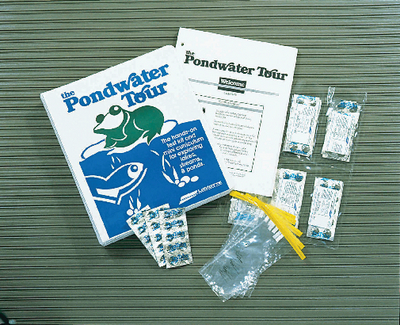 They will collect samples from any local freshwater source, then use reagent tablets in individually sealed foil strips to test the ammonia, dissolved oxygen, and nitrate contents, as well as the pH of the sample. Materials for 50 students.